I don't know whats happening in the above photo. 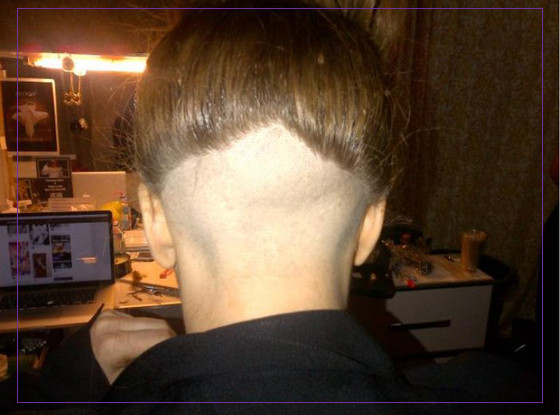 This is said to be Gaga.. and she is said to have shaved her hair like this in memory of her friend's mom.
" I did it for u Terry, I'm sorry about ure mommy. She has princess die, but were all princess high." Gaga speaks of her friend/ celeb photographer Terry Richardson who's mother just passed away. I think it a sweet gesture to pay tribute to someone.. I just have no idea how a shaven triangle in the back of her head does so. I am sure though- that Gaga has a great explanation/reason for it.